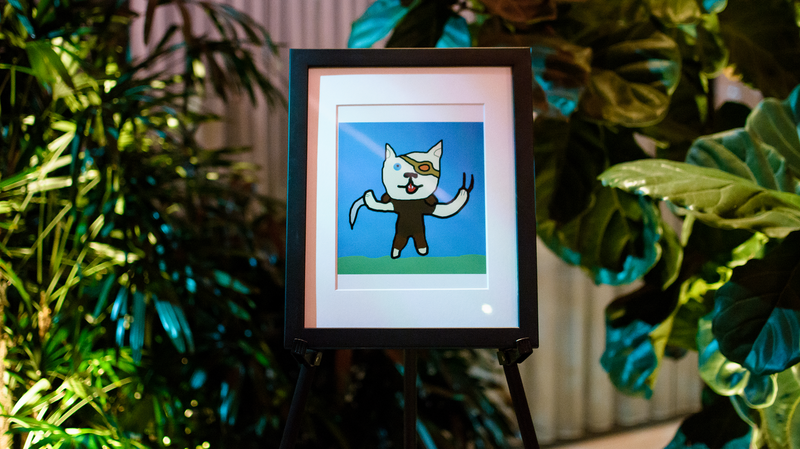 Hidden deep within the halls of Riot is a priceless collection of art: drawings of League champions that players sent the Player Support team​ i​n exchange for small amounts of RP. Sales and bundles can leave players with an awkward number of RP, and they might need just a little bit more to complete a purchase. We could just send over RP—most of us can remember a time we were just a bit short, so we get it—but we also enjoy the chance to have fun with players. Over the years, we’ve stashed away tens of thousands of images and, like a Xerath ult we can’t hold in anymore, we’ve burst open the vault to share the images far and wide. So how did this tradition start? Back in 2009, Player Support was just a handful of Rioters, and sometimes the team couldn’t fulfill a ticket. For instance, players would request a summoner name change, something PS couldn’t do easily back then. Players hoped sending in drawings (sad-face Amumu was a popular one) might guilt the team and swing things in their favor. “It was endearing,” remembers Jesse Perring, another former member of the PS team, “but often the reality was that we actually couldn't help them so we would respond with something like, ‘I love your picture, but we still can't help. Here's some RP for the drawing though. PS: Please don't tell anyone we did this.’"
Spoiler alert: they did. The team had set a precedent: players now knew they could send in artwork to potentially snag some one-time free RP. “We started spontaneously getting pictures of champions in the support inbox without any context for why the player sent it,” says Perring. Players began to add little “Rito plz RP?” messages, and the team clued in. “And once we started doing it we couldn't really stop and be fair about it so we just kept going,” he adds. Some players worried they weren’t strong enough artists to get the RP, but the team would encourage them, adding that skill wasn’t what mattered. “A lot of people wrote back saying, ‘I can't draw,’” says Schmiedicker. “But, the team would push back by saying, ‘I can't draw either!’” What counted was giving it a shot. The drawings run the gamut: expertly stenciled renditions, chibi versions of champs, modernist takes, and more. Over the years, we’ve got a lot of tongue-in-cheek pictures, hastily made in MS Paint, rendering masterpieces like Vlad's W (a red oval) and a camouflaged squad on a mostly blank image. The team also asks for specific art: who hasn’t wanted to see Fiddlesticks as a boy band or Lulu riding a bike? The bar keeps rising, pushing players to get more creative with their drawings, and they’ve blown away our expectations. Today, we launch a microsite with over 300 images (just a fraction of the thousands upon thousands we’ve received) ranging from wickedly funny to awesomely wtf. You can also try your hand at drawing some of your own—sorry, no RP this time—using our random description generator. (Looking forward to seeing all the takes on “Alistar soul-searching on the playground” and "Jax disappointing dad in outer space.") The art also begged for unpacking and pontification and rumination (notice, for instance, the hints of Gauguin in Pink Brand), so we hooked in some Riot artists to share their professional takes in the short video that's at the top of this article.